Lake Tahoe is known for its summer activities, but it is just as popular for its winter activities. If you get excited at the thought of snow-covered mountains and skiing in fresh powder, then Tahoe is the place for you. Not only is there plenty of ski resorts in Lake Tahoe there are other fun winter activities to do as well, such as snowshoeing, sledding, snowmobiling as well as cross-country skiing. Although Lake Tahoe gets plenty of snow throughout the winter and early spring months it is still sunny 75% of the time during the daylight hours. Did you know that Lake Tahoe is sunny or partly sunny 273 days of the year? Most of the precipitation Lake Tahoe gets is during the months of November through May and most of that precipitation comes in the form of snow but that doesn’t mean you will have a ton of grey, gloomy days. You can enjoy your winter weather fun with snow as well as blue skies most of the time. 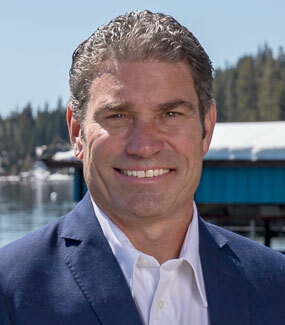 Average high winter temperatures for Lake Tahoe are in the ’40s and the average lows are in the 20’s but with the sun shining 75% of your daylight hours you will still have blue skies to enjoy as well. There is hardly a shortage of snow with the average snowfall at lake level being close to 16 ft. during the winter months. 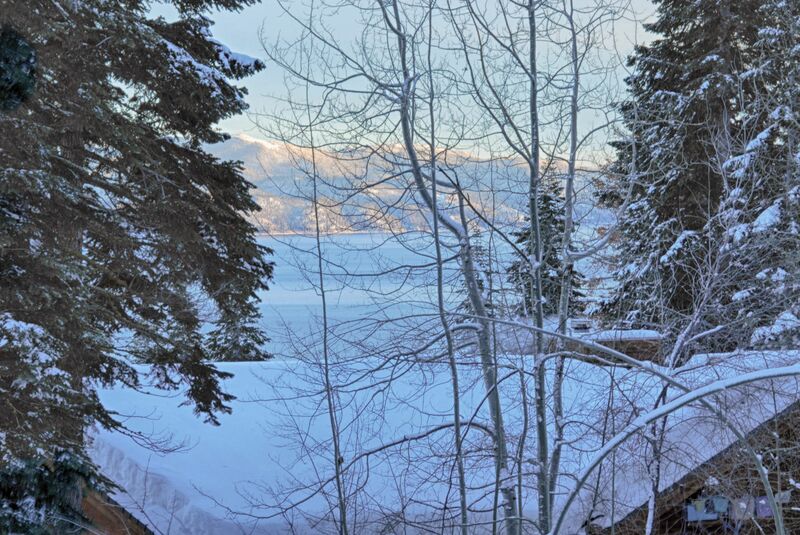 Here is the perfect Lake Tahoe home located 10 minutes from North Star ski resort. This home also has access to snowshoeing or snowmobiling right outside the back door. 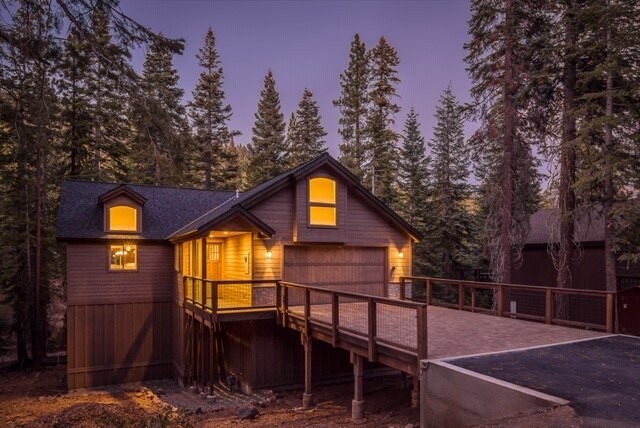 There aren’t many brand-new Lake Tahoe homes to choose from, especially as beautiful as this one. 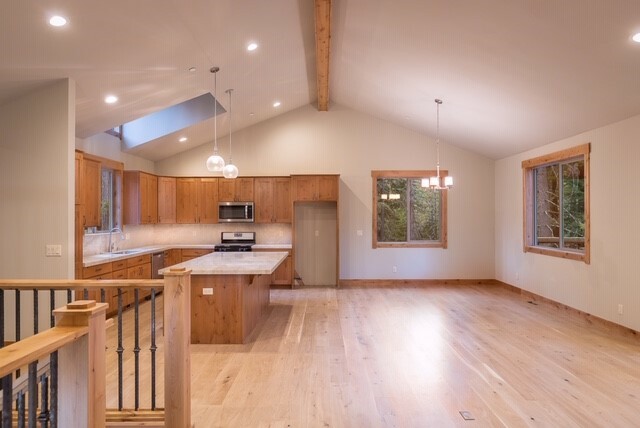 Situated on a large lot, backing to placer county-owned open space in a desirable Kingwood West neighborhood, this home has been built from the ground up in 2018. Features include alder trim and details throughout the home, 8’ doors, quartz countertops, hardwood flooring, wrought iron interior balusters, floor to ceiling stone fireplace with gas insert, LED lighting, high open beam ceiling and a spacious garage as well as extra storage for hiking/biking and snowmobiling gear. 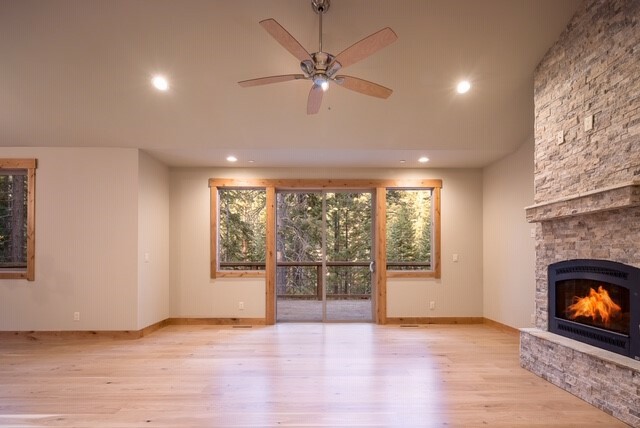 This stunning brand-new home is situated in a quiet neighborhood with forest and lake access close by. Don’t miss out!